It has been a while since we have done an update, We ended up spending the past 2 months in Guatemala soaking up the culture, slowing down our pace, and doing some much needed repairs to the truck. 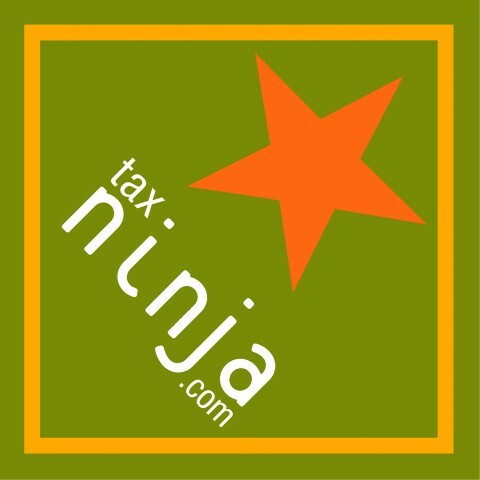 Life had been a bit hectic and I couldn’t muster up the energy to write a decent blog. We are now in Honduras, tucked somewhere up in the Pico Bonito National Park hiding from the craziness of Semana Santa (Holy Week). For the first time in a long time we find ourselves with nothing to do but listen to the crickets and frogs sing lullabies outside our truck. Perfect time to do some writing. The border crossing from Belize into Guatemala was fairly uneventful. We went through the process of checking ourselves and the truck out of Belize. Got the truck fumigated, paid for new visas and a vehicle permit. All completed in our crappy spanish without the use of a tramidor (Tramidor: Dude who hangs around frontier borders helping/scamming confused gringos getting into the next country) thanks to our friends at LifeRemotely who posted a great explanation of the process, fees, and buildings. We spent 10 minutes in the car studying up and hit the booths, about 30 minutes later we had everything we needed. We were officially and legally now in Guatemala. We assumed (stupidly) that there would be a gas station and ATM somewhere near the border on the Guatemalan side. Well there was an ATM but it was empty. No cash. We tried to ask if there was another “cajero” nearby but our spanish is so bad we received nothing but confused stares. Oh well… hopefully there will be one further up the road. We placed our faith in the 4Runners crappy gas gauge being off and headed further down the highway. We have our 5-gallon reserve tank in case we ran out. 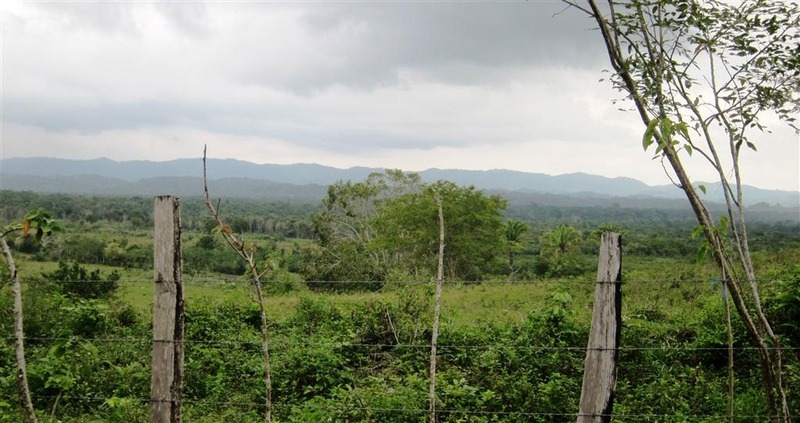 The section of Guatemala we entered is named Peten. 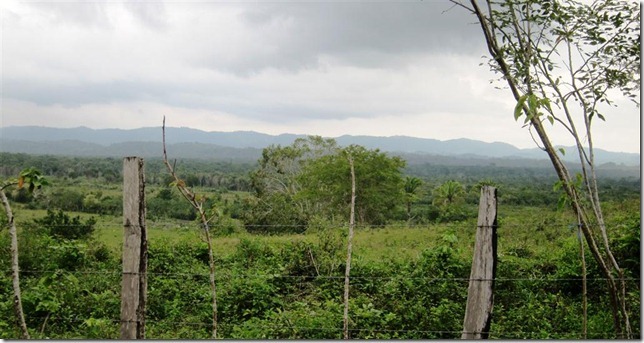 Unknown to us at the time, It is a very sparsely populated section of Northern Guatemala. We drove past miles and miles of clearcut farmland, rolling green hills, and a few small pueblos with no services. 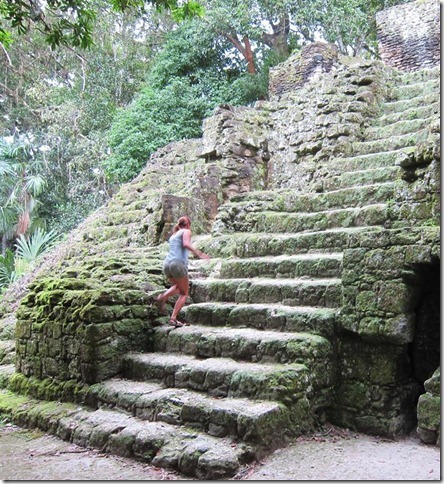 Our destination for the first day was the Mayan ruins of Tikal. Eventually we arrived at Tikal, We never did pass an ATM or gas station for almost 60 miles. We tried to enter the park but they charge a ridiculously high price for entry ($~25US per person). 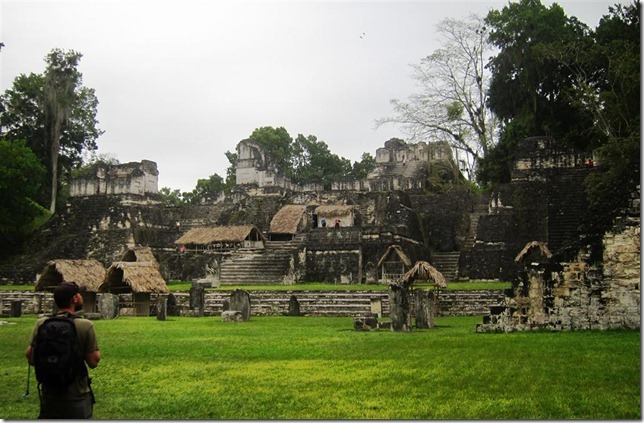 We didn’t have enough dinero so we had no choice but to head out from Tikal to the next large town of Flores for some cash and gas. Rolled into Flores sputtering, perfect timing, we found a nice gas station equipped with an ATM. Topped off our cash and our fuel tank. Headed back to Tikal. 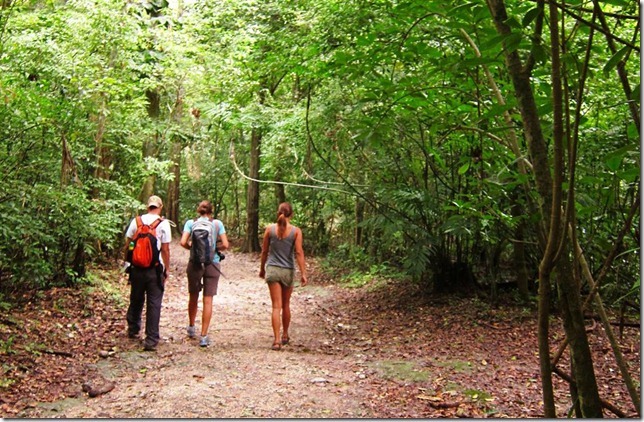 We ran into our friends Paul/Susie again in Flores, they were also headed to Tikal. 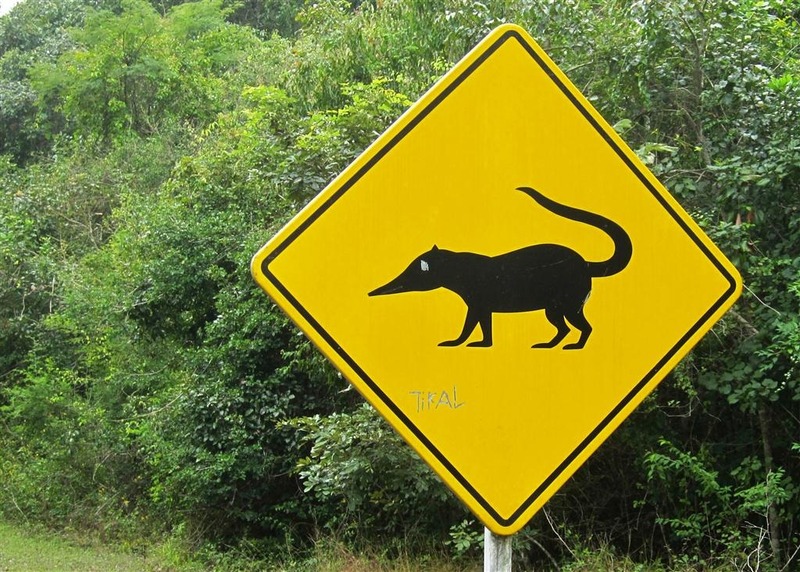 When we were both driving back to Tikal we passed our other friends Zack/Jill. Looks look we were all headed to the same place. We hit the entrance at the same time, just in time for Paul’s Trooper to start acting up. Not one to leave a man behind, we all set to diagnosing the problem in front of the Tikal park entrance. Eventually we tracked down the problem to fuel. 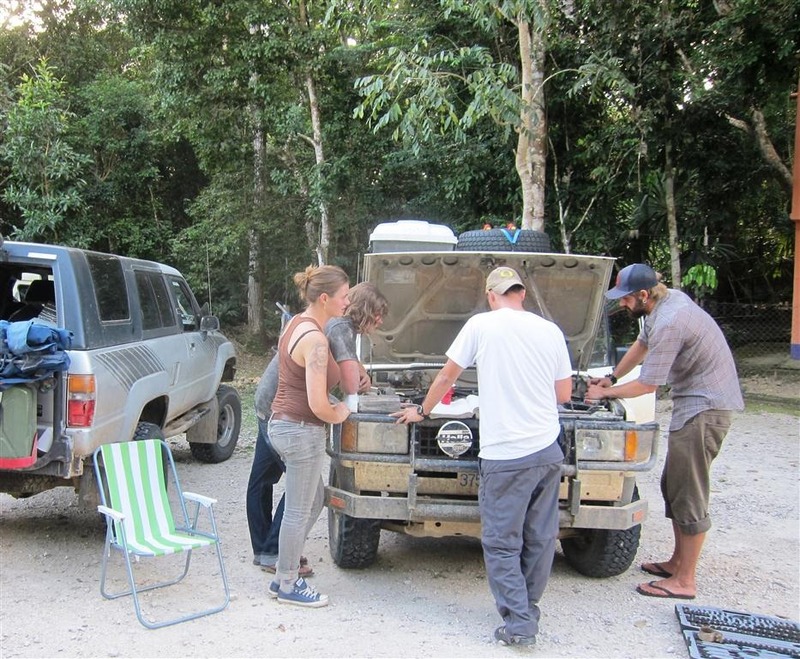 Figuring it was bad gas, we drained the tank and used my jerry can of U.S gas to refill it. While not running completely right it seemed to be doing better. By this point it was around 6PM and the park had closed. Having no place to go (We were planning to camp inside the park) We asked the guards if we could just camp in the parking lot in front of the park. No problem they said. So we did. 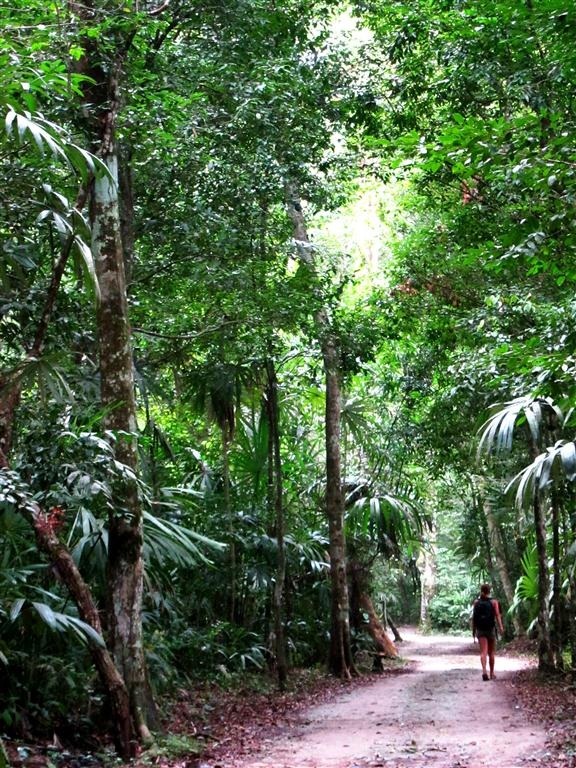 Howler and spider monkeys crawling through the trees above, Us stinking like gas below. Luckily we had booze, all was well in the world. Next morning we woke up early, Paul/Susie headed to town to further diagnose their issue. 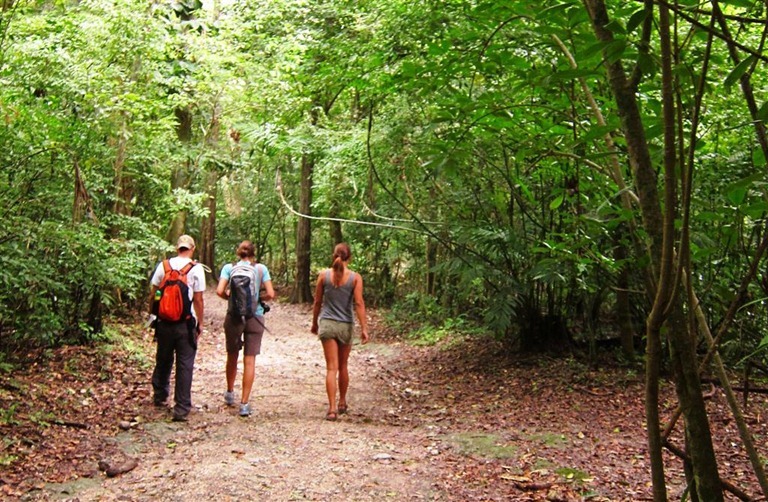 The rest of us headed into Tikal. 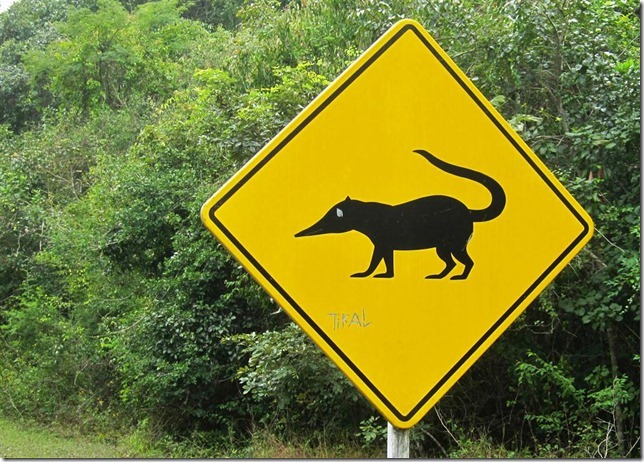 First sign we saw warned us of a “Coati Crossing”.. I guess we are in the jungle after all. Tikal was like no other ruin we have visited thus far. The ruins are dispersed among deep jungle. You walk through 30 minutes of thick jungle canopy with monkeys howling overhead and then pop into a clearing with amazing ruins. It really gives you the feeling of discovering an ancient lost world. 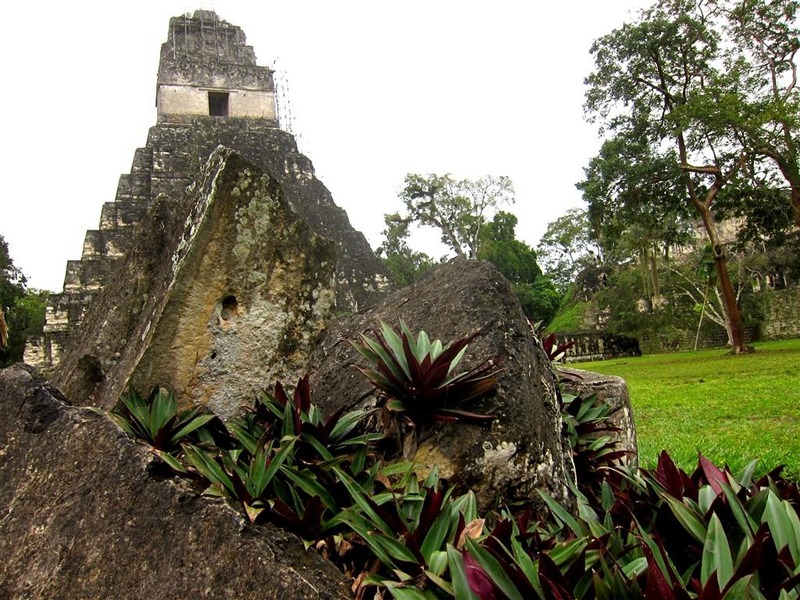 Tikal is one of the largest sites of ancient pre-columbian Mayan civilizations. 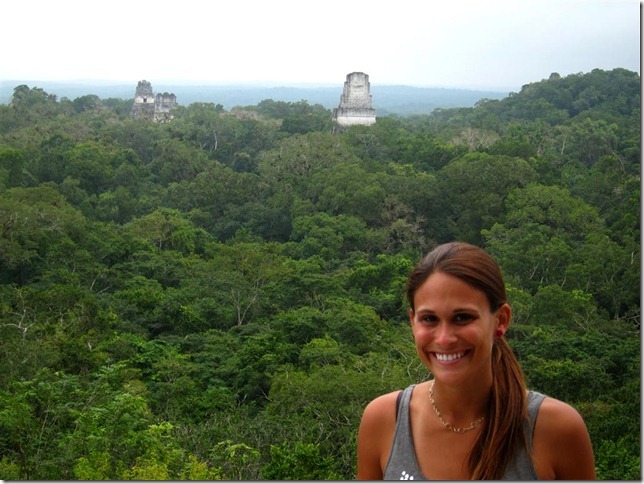 It was a hub for all surrounding Mayans civilizations, sort of a “capital” of the if you will. Estimations of population range from 10,000 to 90,000 inhabitants. Imagining a huge city of 90,000 milling around this place 2000 years ago is a surreal feeling. 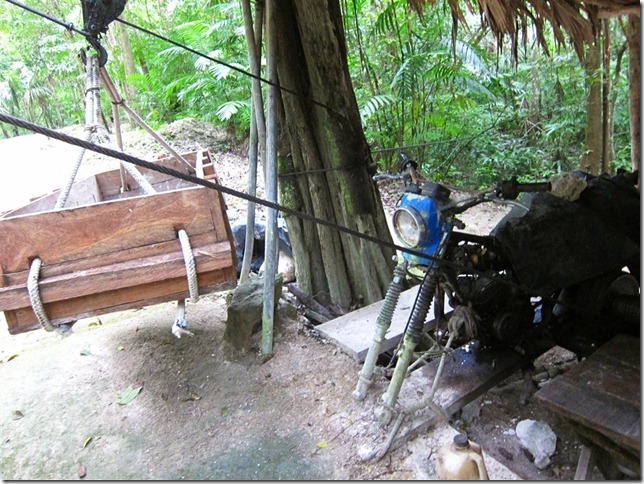 Excavation of the ruins are still in progress, Check out this motorcycle powered cart they use to ferry equipment to the top of the temple. 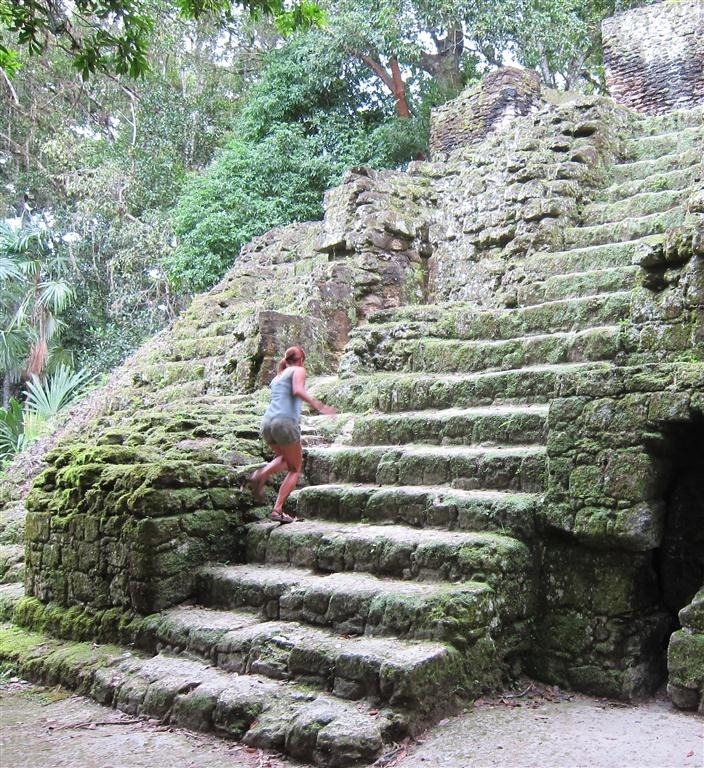 We spent most of the morning wandering through the jungle, climbing up ruins and taking in the sights. Eventually we said goodbye to Zach/Jill and hit the road again. Next destination: San Pedro La Laguna, Lago Atitlan for spanish school.